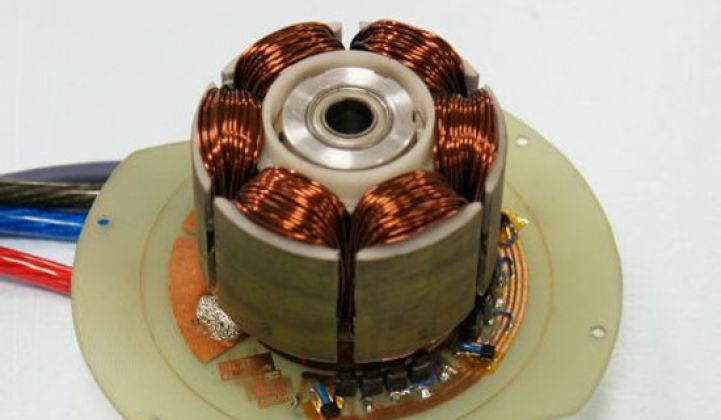 A new brushless DC motor that converts electric power to motor output has been unveiled by researchers at Tokai University. Researchers at Tokai University developed a brushless DC motor that coverts electric power to motor output at a conversion efficiency of more than 96 percent. The announcement was made at the 56th Spring Meeting of the Japan Society of Applied Physics, which took place from March 30 to April 2, 2009, at the University of Tsukuba in Ibaraki Prefecture, Japan. "The idea to improve the efficiency can be applied to high-output motors for electric vehicles," said Hideki Kimura, professor at the Department of Electrical and Electronic Engineering, School of Engineering at Tokai University. To get the rest of the story, visit Tech-On!